This tutorial will show users how to install OpenBazaar, navigate the network, and make purchases. If you have problems along the way, visit our help desk. Most users will want to run OpenBazaar on their main computer which makes installation as simple as downloading and opening the file. If you have some technical expertise and want to manually install OpenBazaar, you can follow the instructions on the client repo and the instructions in the server repo. The first time you run OpenBazaar you will be guided through an onboarding process to personalize your experience. You will be asked a few questions such as your language, country, and preferred currency. You also have the opportunity to upload an avatar for your store. Click on "Select Avatar" to choose a file from your computer. The last part of the onboarding process is a disclaimer about using the OpenBazaar software, which you should read before continuing. After finishing onboarding, you'll now see your own OpenBazaar pag, looking something like this. Notice the long string of characters in the navigation bar at the top of the client. This is your OpenBazaar ID, which is an address that every page on the network has. OpenBazaar is a network of users all over the world who host their own stores, and sell goods and services for Bitcoin. To view a random sampling of other stores, click on the "Discover" icon (a small blue tent) on the top right of the client. This will bring you to the main Discover page where you can view listings and stores on the OpenBazaar network. Use the search bar to look for listings or stores. You can use the filters on the left and the sort on the top right in order to narrow down your search. Note that, by default, users will have a NSFW filter turned on that will hide listings which have been labeled NSFW by the vendor. You can turn off this filter by going into Settings > General > next to "Display Mature Content" and click "Yes" then hit the "Save" button. If you see a listing which is inappropriate or offensive, you can report that user to the search engine by clicking the flag on their picture. You can also use the navigation bar to find other stores or listings. Every listing and store has an address on the network, and putting in that address will take you there, just like a website. Putting another store's OpenBazaar ID into the navigation bar will take you to their store, and the same for specific listings. Copy these addresses in client with Ctrl+C, and paste them with Ctrl+V. You can use share these addresses on the web and other OpenBazaar users can navigate directly to the addresses by pasting them in their navigation bars. OpenBazaar isn't a giant ecommerce site; it's a group of people who all want to engage in peer to peer trade. If you want to talk with those people, you can by using the built-in chat function. Chat is encrypted end-to-end for user's privacy. On any OpenBazaar page, you can message the owner of the page by clicking the "message" button. This opens the chat bar on the right of the client. You'll see the user and their avatar at the top, your messages in the middle, and then a text field to type at the bottom. There's also a dropdown on the right which allows you to view the users page. If you want to remember a store you found, you can follow them, which will add them to your following list. On their page, click the follow button. Then on your own page, you can click the following tab and see the stores you've followed. 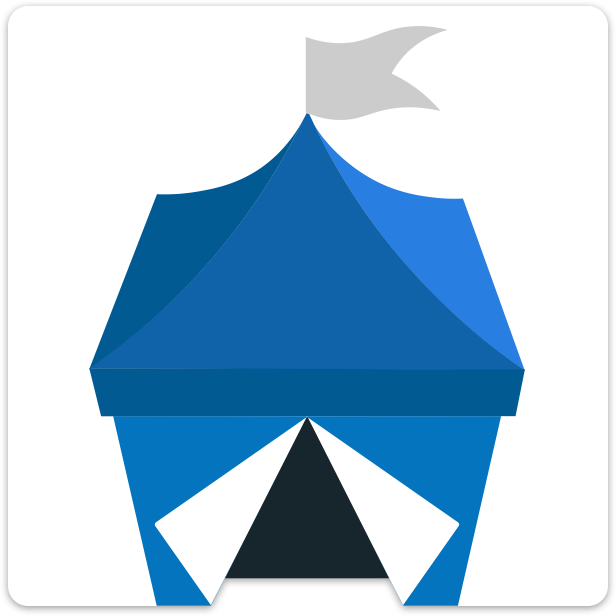 OpenBazaar is all about creating a new peer to peer network for trade, using Bitcoin. So let's buy something! We've now included a built-in wallet in OpenBazaar to make purchasing simpler than ever. You don't need to use the wallet if you don't want to - you can always send money from an external wallet - but using the internal wallet is more convenient and allows OpenBazaar to do some more complicated transactions on your behalf. To fund your OpenBazaar wallet, click on the Wallet icon on the top right of the client. You'll see the wallet interface. Click on "Receive Money" on the left side of the wallet interface. You'll be shown a QR code as well as a Bitcoin address underneath. Send Bitcoin to the QR or address in order to fund your wallet. Note that you'll need to wait for one confirmation before your funds are spendable from the wallet. Once you funded your wallet and received one confirmation, find an item you like and click the big "BUY NOW" button. There are two ways to pay in OpenBazaar. 1. Direct Payment - The buyer sends the bitcoin directly to the vendor. 2. Moderated Payment - The buyer sends the bitcoin into an escrow account and they are released when the transaction is finished. Moderated payments give the buyer some protection against the vendor taking the money and not delivering the product. But it's important to choose a trustworthy moderator. You can read about choosing a good moderator here. If you choose moderated payments, then your bitcoins will be sent into an escrow account (using a unique feature of Bitcoin called multisignature addresses) that will only allow the funds to move if two out of three parties agree. Those parties are the buyer, vendor, and the moderator. This is more secure than a direct payment, in which the vendor receives payment as soon as they process the order. Not all vendors offer moderated payments. If they don't, you won't see any moderators to choose from on the order. For vendors you trust, or small orders, a direct payment works just fine. If you are buying a physical item, you'll now be asked to enter a shipping address. If the vendor doesn't ship to your country then you'll be unable to purchase the item. You'll then be shown a summary screen with details of your order, and quantity, shipping information and moderator details (if it's a moderated payment). If you are satisfied and want to place an order, click the "Pay" button. You'll now be shown the last step in the purchasing process, the payment screen. If you're familiar with Bitcoin then you've seen these QR codes many times. If you funded your internal Bitcoin wallet, you can click "Pay from Wallet," which will inform you of the Bitcoin fee you'll need to pay, and if you proceed will pay the order immediately. If you have a mobile Bitcoin wallet and don't want to use the internal wallet, simply scan the code and pay. If you have a local wallet, you can click "Copy" next to the amount and payment address easily to enter into your wallet. After paying you should see the payment screen change to indicate successful payment in only a few seconds. You can view your purchases by clicking on the menu on the top right of the client, and then on the "Purchases" section of the dropdown menu. This brings you to your transactions page, which shows you all of your purchases, sales (if a vendor) and cases (if a moderator). To view more details about a purchase, click on the "Order ID" in the left column. In this window you'll see several tabs on the left. The first is a summary tab which gives you an overview of the order. The second is a Discussion tab which allows you to have a conversation with the vendor, as well as open a dispute with the moderator if it was a moderated transaction. The last is the Contract JSON itself, something most users will never need to access. The order timeline shows the progress of the order, from the buyer first paying, the vendor accepting and fulfilling the order, then the completion of the order when the buyer releases funds and / or leaves a review. What if the vendor never sends the product, or they sent something broken? If you have a problem with the vendor, the first step should be to contact them and ask for them to resolve the situation or ask for a refund. If the vendor is unresponsive or won't cooperate, and you've selected a moderated transaction, you can then open a dispute and bring your case to the moderator. To do this, open the order details (the picture above) on the order you placed. You'll then be able to open a dispute by clicking the red "Dispute order" button then sending a message to the other parties in the discussion tab. The moderator will then be able to see the conversation from that point out. They should work with both buyer and seller to determine who will receive the funds in the escrow. Eventually the moderator should close the dispute and also give you the option to accept the payout if you were the winning party. As soon as you accept the payout the funds will be released to you. Note that the moderator will be paid a percentage of the overall transaction if they are called upon to settle a dispute. My OS is osx mac! OpenBazaar doesn't work on OS X in my experience - on installing the onboarding process never runs and there is no way to manually start it, so OS X users can't use OpenBazaar. I can't say if they are testing the OS X version or not, but my support request relating to this has remained unanswered for two weeks. OpenBazaar should be working for OSX users. I'm sorry your support request wasn't answered, we'll look into that. Does that mean the installer has been updated to fix the problem? It does not work on Mac OS X: "Connection failed to default— too many failed authentication attempts"